Bodega will keep Reebok's year-long Classic Leather celebration going with a new collab, releasing this week at the Boston retailer. 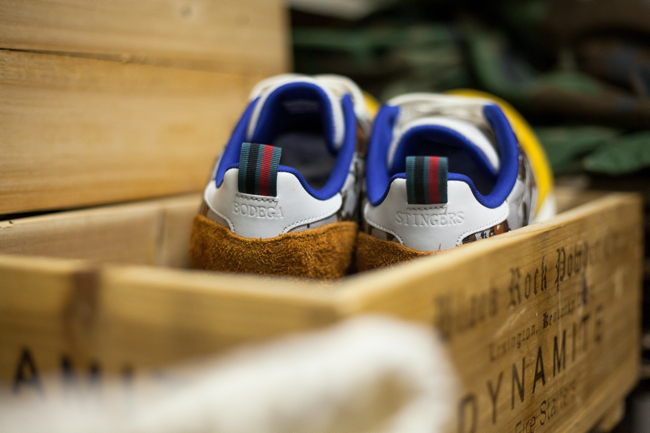 The military-inspired Classic Leather Lux 'U.S.B.D.G.A.' 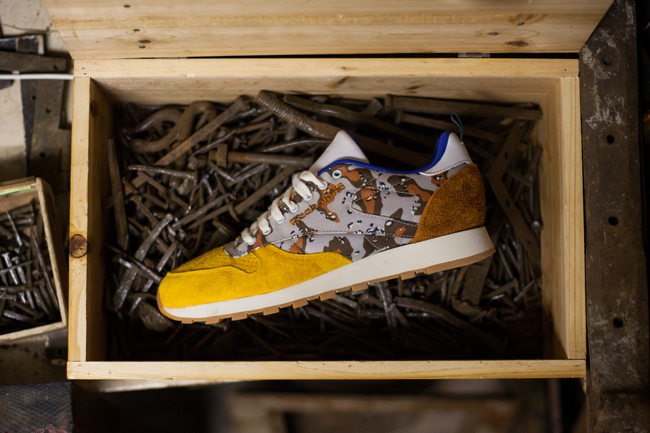 features a desert camouflage upper with a yellow suede toe box and a brown suede heel overlay. 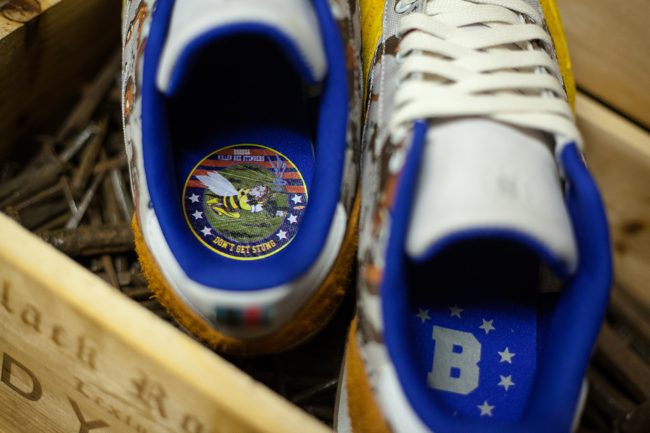 The shoe's heel tab and sockliner both include a call out to the 'Killer Bee Stingers,' Bodega's fictional military unit. 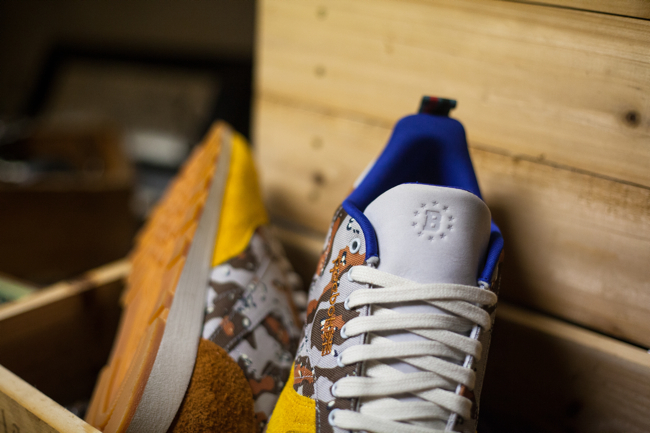 Each pair also includes extra laces an accompanying 'U.S.B.D.G.A' t-shirt. 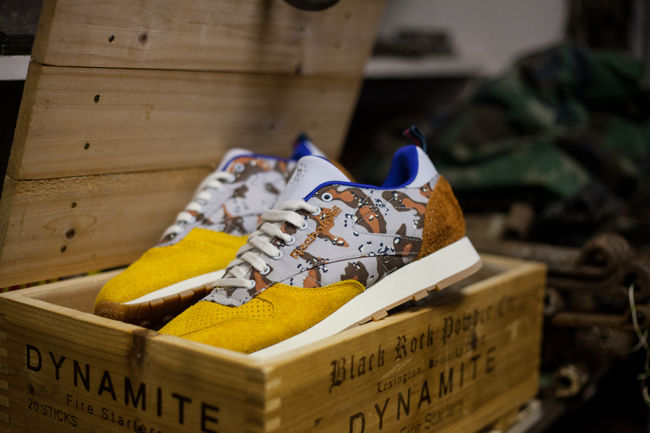 The Bodega x Reebok Classic Leather Lux 'U.S.B.D.G.A.' will release online and in-store (via raffle) on Saturday, October 19. For more information, visit bdgastore.com.